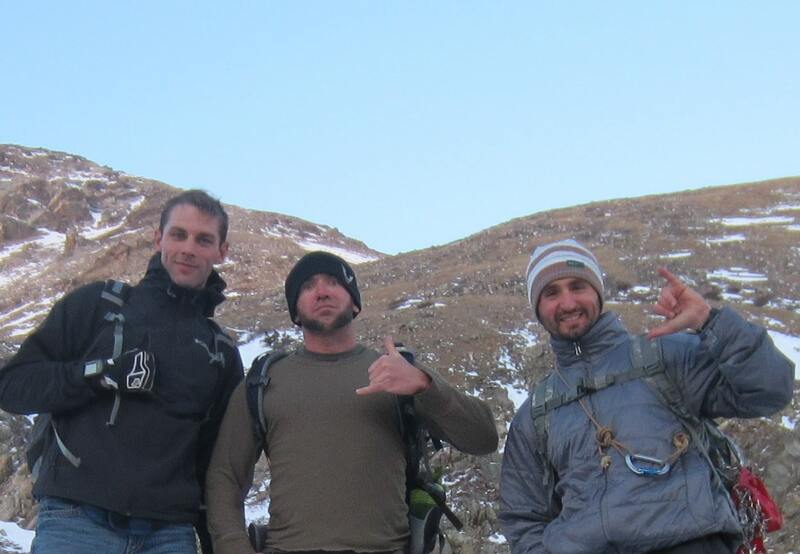 Next Saturday, May 31st, half of your registration for Navigation Level 1 will go directly to the Green Beret Foundation charity, in honor of Staff Sergeant Liam Nevins, Green Beret and Coloradan, who was killed in Gardez Afghanistan this past September. It’s been hard to focus on running a business this week with Memorial Day on the horizon. As the family members of our friends who were lost on last years deployment make their way to memorials and tributes, I know that lonely survivors of soldiers from wars long ended are silently paying tribute in many places in their own ways. With all this in mind, I have to be honest. I would find it easier to curl up in a corner right now then write this blog. But then, that is not what these fallen heroes were about. They did not seek out a corner when things got hard, so neither will I—if only to honor them. Instead, I will remember some of the men I knew who, though they no longer walk among us, stood up when it counted, and therefore will stand strong forever in our hearts. Without going into detail, those of us who shared bases and outposts with them, or patrolled ancient dusty valleys beside them, will remember certain things: The last look of their faces we ever had, or rows of soldiers standing silent in respect at a “ramp side service” as our friends bodies were loaded aboard a helicopter for one final flight. Now I come to the part where I must mention the two soldiers who’m we lost which cut me the deepest, and of whom I think about every day. They were among the brightest and best in our military. First, there is Tim McGill. Big, brave, happy, gentle, fierce, loving Tim. I can’t begin to talk about the times we shared, and how much he meant to me and countless others. It would be too much for this one blog, so be assured you will hear more about him in the future. He fell this past September 21st in Gardez Afghanistan, but he didn’t die alone. Another dear friend, Liam Nevins, started his Army career as a paratrooper in the famed 82nd Airborne Division. Always a cut above the rest, Liam earned his Ranger Tab and excelled on multiple deployments in Iraq and Afghanistan. I first met Liam when myself and Tony were going through the Special Forces Qualification Course at Fort Bragg. His drive, commitment, and mastery of everything he undertook was inspiring to everyone who came in contact with him, and his experience was something to aspire too. After graduating the Q-course, and earning our Green Beret’s, ther tree of us found ourselves at the same unit here in Colorado. To my delight, it turned out Liam was living with his sister Maeve in Boulder, just a short drive from my house. Together, we shared our love for the outdoors, and hiked trails from Boulder to the spine of the continental divide, every chance that we got. I looked up to Liam, and was honored to call him a friend. In this, I certainly wasn’t alone. In early 2013, myself, Liam, Tony, and Brian all took deployments to Afghanistan. Liam and Brian, along with Tim and many of our other friends, were sent with different teams to Eastern Afghanistan, and Tony and I went to the Western part of the country. We stayed in touch with Liam via email during his deployment, which he would tell us was extremely active. His team was on the cutting edge of dealing with some of the most dangerous elements of the insurgency, and they found themselves in contact with the enemy on a constant basis. I worried about Liam and all of my friends, but I hoped his his experience and expertise would see him through yet another dangerous deployment. It was nothing new to him. What was new, was that he was in love. His fiance, Julie, would be waiting for him when he returned, and he was scrawling notes about different cuts of diamonds in his notebook next to operational information. In late summer, we got the news that Liam had been shot. It happened on a mission where one of the Afghan Army Commandos which he was mentoring ran into a machine gun while attempting to clear a building of insurgents. Liam moved up to help, but part way there, a heavy machine gun round tore through his hand and continued through his shoulder. Calmly, he got on his radio and informed his team that he was hit, and that he was administering aid to himself, and that they should not worry about him. After a long hard fight, Liam was recovered, but that was not enough for him. He didn’t want to sit still and wait for the helicopter, instead he climbed a wall so that he could watch and coordinate the actions of his Afghan soldiers who were still trying to recover the body of their fallen comrade. When I heard Liam had been wounded, I was actually relieved. I figured this meant his dangerous deployment was over, and he would be heading back home to Julie. Tony caught a flight out East, and was able to spend a couple of days with Liam in the hospital, where he was already on his feet, and driving a truck around one handed. After a series of surgeries, Liam was recovering nicely, and the hospital staff told him he would be on his way out of Afghanistan shortly. There was one problem. Nothing in his DNA or his heart would let him leave his team before the job was over, and there were a couple more missions left on the schedule. Liam told the hospital staff he would not be heading to the military hospital in Germany, but back into the mountains to be with his team. When they told him no, he broke out of the hospital, and made his way back to his guys. This is where he and Tim’s paths would cross. Liam was almost recovered enough to do missions again, but not quite. His team told him they would take him on the last mission scheduled in about a week, but he would have to sit back at the base during their current mission. Not one to sit idle, Liam volunteered to help train Afghan soldiers on the rifle range while his team was outside the wire. 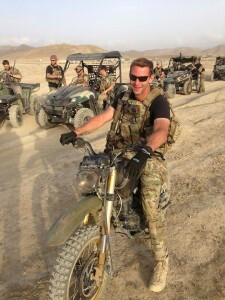 Liam had a passion not only for doing the work of a soldier, but for helping people in the highest traditions of Special Forces. In fact, he had been gathering interviews from his Afghan interpreters about their lives and experiences, in anticipation of writing a book about them. 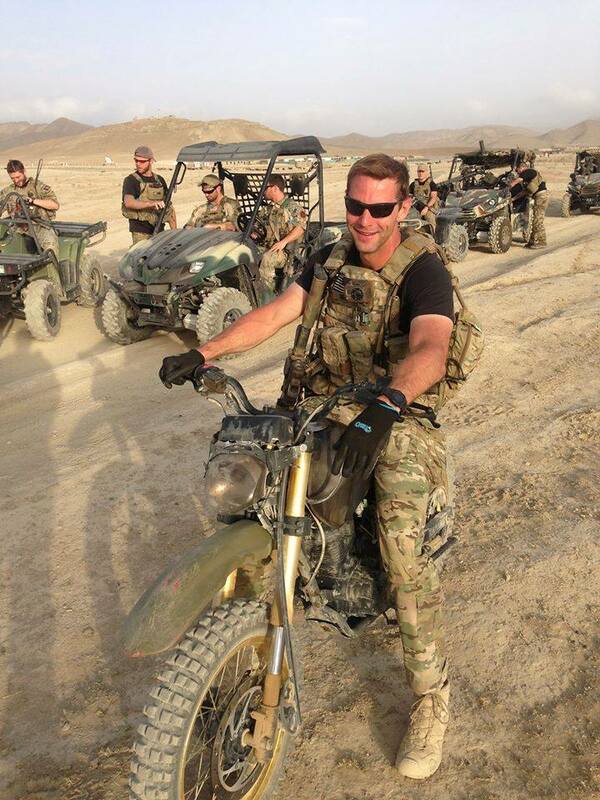 He truly believed in our Moto “De Oppresso Liber, To free the Oppressed.” This is part of what prompted him to be on the range that day, working once again with the Afghan Commandos who were fighting for freedom in their country. Liam had bled for them and risked his life for them, as much as he did for his own country and family. Unfortunately, this compassion was something the Taliban have learned to exploit. On September 21st, 2013, Liam and Tim stood just steps from each other on the firing range. They were from different teams but both shared a heightened passion for their friends. I imagine them chatting about guys they knew from training, and where we all were, and what we were all doing. These two Green Berets—survivors of many battles, and selfless givers—could not have seen it coming when an enemy plant within the Afghan soldiers raised the barrel of his rifle and fired the shots that ended both of their lives. The Afghan Commandos who Liam had given so much to did not waste a moment in killing the perpetrator, but it was too late. Liam, Tim, and another US soldier we already dead. Liam could have gone home when he was wounded, but it wasn’t his way. Not when there was work to be done, people who needed help, and friends still in the fight. Writing this blog did not exactly come easy, but if I learned anything from my good friend Liam, it was that you never quit, never feel sorry for yourself. Not when there is important work to be done, or an opportunity to better yourself. Liam had lots of plans with family, friends, and his fiance Julie for when he got back. Selfishly, I mourn the turns we never got to carve together on Colorado slopes. The miles we had yet to hike and climb in the rocky peaks, and I know without a doubt, that Liam would be a part of this project we are doing to share our skills and experiences with others, and our love for wilderness. I remember the day Tony and I found out about Liam and Tim’s deaths, just weeks from the end of the deployment. Tony and I would return to the US just in time for the funeral services. They were within a day of each other, and I had to face the reality that I would only be able to attend one. Tony would be going to Colorado for Liam’s, so I decided to go to Tim’s in New Jersey, where we had both grown up. It is a small thing we can do, but we will do it none the less. In the name of Liam, and in honor of Tim and the countless others like him who have made the greatest sacrifice over the years for their country and for humanity, we humbly dedicate our May 31st Navigation Level 1 course to Liam’s memory. Instead of our normal 10%, half of the proceeds from this event will be donated to The Green Beret Foundation, in order to help the survivors of our fallen Special Operations soldiers. Save a thought for Liam, Tim and all the rest this Memorial Day weekend, and do something good with the time they bought for us at the expense of their own lives. On behalf of Origins Training Group, have a good Memorial Day Weekend. Thank you for sharing – and collectively for your service – from a grateful stranger in Canada. Beautifully written, Matt. Thank you. Where are the notes that Liam made on his Afghan comrades? I would like to see that they are published in a book. Please contact me. Any items,writings, etc. belong to Liam’s heir. They should disbursed to the estate only.